‘How To Edit Your Novel’ is a guide designed for writers who have completed a long-form work of fiction and want to edit, polish and perfect it as much as possible. It’s all about providing you with the information, tools and advice you need to take your first draft to the next level, transforming it into a manuscript that’s ready for submission or self-publication. The guide includes lessons on everything you need to get started: an overview of all the different types of editing, instructions on how to distance yourself from your novel, and more. Once these preparations are complete, it’s onto the actual editing process. We’ll delve into all the aspects of structural editing, copyediting, and working with beta readers, providing in-depth instructions and advice every step of the way. Finally, we’ll talk about completing a final read-through and proofread of your novel – perfecting all those little details that will get it ready to send out into the world. This guide is designed for you to use at your own pace. You can complete it entirely in your own time, picking and choosing lessons according to your own experience and progress with your novel. The Writer’s Edit team has drawn on its collective industry knowledge and experience to develop the ultimate course for writers editing their first novel. With our instruction, advice and support, you can give your novel the professional edge that’s needed in today’s competitive publishing landscape. 1.1 What do we mean by ‘distance yourself’? 8.1 1. Copy and paste the text of your DRAFT-2 document into a new document. 8.2 2. Using the notes you made during your read-through, take your time to address each issue you find. 13.1 Why Do You Need a Beta Reader? 13.2.1 Who isn’t an appropriate beta reader? 13.3 Where can you find beta readers? 13.4 How many beta readers? By now, you’ve spent a lot of time working on your novel. You’ve mulled over plot points, argued with your characters (and yourself), you’ve talked to friends about it – it’s taken up many of your waking hours. In other words, you’re very close to it. Throughout the editing process, it’s important that you gain some much-needed distance from your book. You need to be able to examine your characters, story and setting objectively and critically in order to improve it. What do we mean by ‘distance yourself’? We mean, take some time away from your manuscript after you’ve finished the first draft. The optimal length of time varies from writer to writer. Some give it a weekend, some leave their manuscript for up to six months. We recommend putting it in a drawer for two to four weeks. Treat these weeks as a holiday – a reward for working so hard on your book. It’s just the right amount of time where you’ll be able to come back to your novel, refreshed and with the ability see the flaws, while also not being so long that you lose momentum. Task: While you take two to four weeks off before starting the actual editing stage, you should be thinking about the areas you already know need improvement. Without looking at your manuscript, write down any areas that you know need work. Is there a character who’s underdeveloped? Is there a chapter where you recall the setting wasn’t particularly strong? Does your book lack lyrical description because you were too eager to get to the action while writing? Over the course of your writing break, consider these issues and any others you can think of off the top of your head. Note these down in an initial edit list, which you'll come back to later. While you’re gaining some much-needed distance from your manuscript, let’s learn about editing itself. Just as there's an art to writing a novel, there’s also an art to editing one. Editing is often a lot more in-depth than most writers realise. For example, did you know that there are various types of editing that a novel must undergo? These include substantive/structural editing, copyediting, and proofreading. Structural editing, sometimes also called substantive or developmental editing, is evaluating the novel as a whole, and determining how well its components deliver its message/theme/narrative. Plot – Does this make logical sense? Is it realistic and believable? How does it leave the reader feeling? Satisfied? Frustrated? Wanting more? Characterisation – Are the characters authentic and well developed? Are they true to their personality throughout the novel? Are their relationships believable? Point of View – Is the current POV the most appropriate choice for this story? Is it consistent throughout? Does the POV change too much or unnaturally? Pacing – Does the story progress at the most appropriate pace? Does the pacing suit the genre and target reader? Can anything be cut without affecting the story? Is there enough build-up? Enough action? Dialogue – Is this authentic? Does each character have their own distinct way of speaking? Readability/Flow – How does the story work as a whole? Are there sections that jar or contradict others? Does it digress too many times? Are there places where the author has ‘info-dumped’? Themes – Are these appropriately handled? Do they suit the genre and target reader? Is there more the author could do to develop them? These are all issues of concern that a structural edit would address. Note that a structural edit does not fix spelling and grammar errors. It is a much broader examination of the manuscript and its elements. In recent years, publishers are less and less likely to sign a manuscript if they have to do a structural edit, as these can be rather costly. Nowadays, the responsibility of a structural edit often falls to the author. We’ll be addressing how you can do this yourself in a few lessons to come. A copyedit is an examination of the manuscript on a sentence level, and only occurs once a structural edit has been completed. A copyedit corrects grammar, spelling, and syntax. It also makes sure the manuscript follows a house style guide. If you’re signed with a publisher, they’ll have their own style guide. Alternatively, you can create your own (we’ll get to this later). This type of edit corrects inconsistencies in punctuation and verb tense, as well as flagging any copyright issues and sentences/paragraphs that need further reworking. Depending on whether you copyedit yourself, or whether you hire a professional, a copyedit can also involve fact-checking and flagging issues with POV, character, setting etc. that may have been missed. While correcting and flagging errors and issues, it is important that this edit still preserves the voice and original meaning of the author. Only once the structural edit and copyedit have taken place does the proofread occur. Proofreading is the checking of the final product for errors and typos that may have been missed or that have occurred during the production process. There is no revision during a proofread, only correction of minor errors. Traditionally, the proofread occurs in-house at a publishing house using a printed out ‘proof copy’ of the novel. Final corrections are made before the book goes to press. However, as an author, you will still need to proofread your manuscript before submitting it to publishers. Doing this ensures your novel is of the highest quality, giving you the best chance for landing a book deal. In addition to the different types of editing outlined above, there is also the option of a ‘manuscript assessment’ or ‘manuscript appraisal’, which many authors purchase without knowing exactly what it entails. A manuscript assessment is where a professional editor – usually someone who has previously worked in a publishing company – reads your manuscript and prepares a report outlining the strengths and weaknesses. These assessments can be helpful to new authors who don’t have much experience in novel writing just yet. However, they are not to be confused with the different types of editing above. 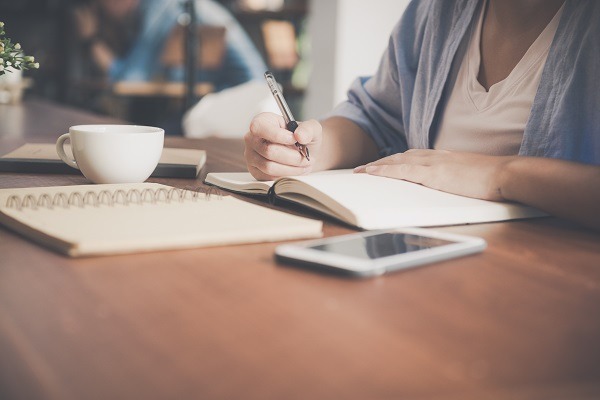 A manuscript assessment is usually a one-off period of contact between the author and appraiser, which generally occurs after the author has attempted their own editing. Once the author receives the report back from the appraiser, it’s up to them to address the issues raised with rewriting and further editing. Structural editing is all about the big picture. The way you build your world and present your setting (be it contemporary or entirely fictional)The way you present all this information (chronology, tense, point of view). But your book is over 60,000 words long! How can you look at all these factors in one sweep? Yes – looking at structural issues in a manuscript can be daunting. By now, though, you’ve had some time away from your manuscript, and you’ve come back to this course (and your novel) feeling refreshed. Here’s where we get stuck into the nitty-gritty and inevitable problems with your novel. No first draft is perfect; it’s important to remember this. That’s why they’re called first drafts. This next part of the course will endeavour to help you structurally edit your novel, and identify the big issues within your book. We’re firm believers in non-chronological revision for structural/developmental editing. What we mean by this is that we don’t recommend writing the last line of your book and then flipping back to the beginning to revise from page one. Why not? Put simply, the issues you’re going to be addressing aren’t going to be listed chronologically, or from big to small in your book. You need to be able to address the structural issues before you can start from the beginning. ‘Chapter Maps’ list the core elements (who, what, where) of each chapter on an index-like card. You can do this on index cards, or sheets of paper. It’s important that these are loose-leaf, though, as you may want to move them around later. Who: Which characters does this chapter feature? Are we being introduced to someone new? Who do the featured characters converse with? Where: Where is this chapter set? Does it change location half-way through? Don’t just include the big details like ‘London’ or ‘New York’ or ‘Sydney’; be more specific! For example: 'Protagonist’s bedroom, moves to Protagonist’s boss’ office' etc. Where do we move to throughout the chapter? List these settings. What: What is the core purpose of this chapter? What is it following on from in the previous chapter? Is it an answer to a cliffhanger? Is it a build up to a cliffhanger? Does this chapter present consequences? What does it lead to? Depending on the length of your book, you may end up with 30 or 100 index cards! In their current order (the order in which they occur in your manuscript), lay your cards out on a table, or on the floor if need be. You want to be able to see the events and characters of your novel unfold as they do in your current draft. This is how you’re able to see plot holes, errors in chronology, and lagging sections. Let’s go through to the next lesson to examine these issues and how to identify them in more depth.